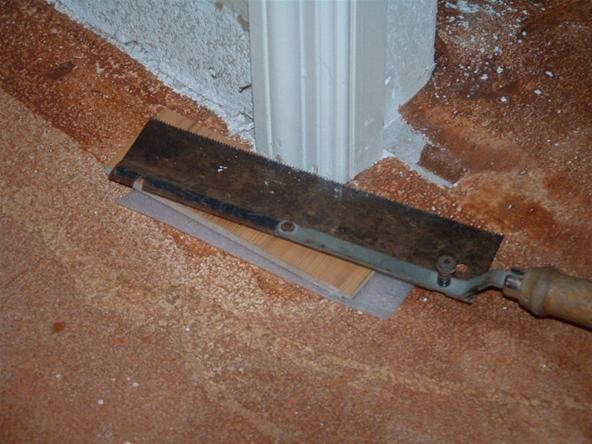 If your installing your own laminate flooring, you may need to under cut some door jambs. Cutting your own door jambs with a hand saw is the least expensive way. You can rent or purchase an electric jamb saw if you prefer. In my opening photo is a door jamb hand saw, which can be purchased for under 20.00 at the big box stores. 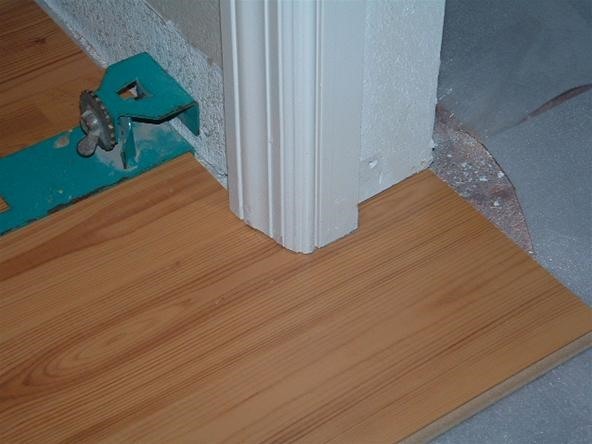 When installing laminate flooring the laminate needs to be able to slide under the door jambs so it appears that the door jambs are installed on top of the laminate flooring. The trick is to cut the door jamb at the right height so it fits snug under the jamb. You don't want to cut it too high and have a space the looks unsightly. The first step is to use a piece of the flooring your going to install, usually a small piece. 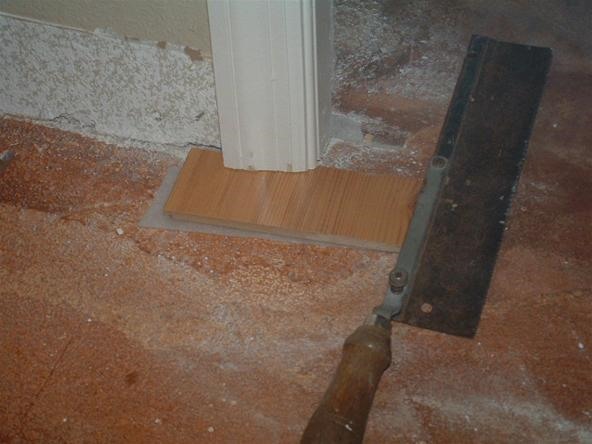 Also use a piece of the underlayment under the laminate so you can cut the jamb to the correct height. As shown in this photo you can see the small piece of laminate and padding positioned up to the door jamb. Press the saw down against the laminate as you cut. This is the end result your looking for, not too low and not too high but just right. Laminate flooring being installed under the door jamb.